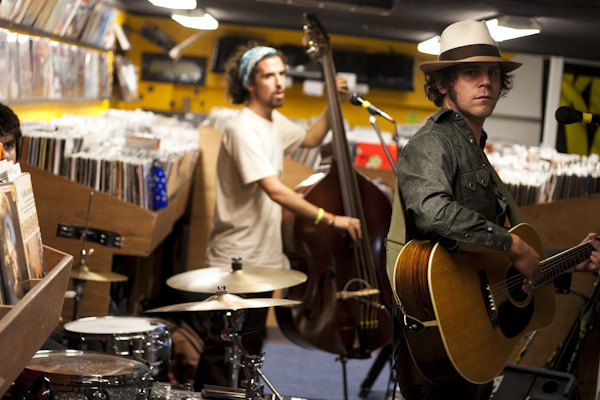 Jammed in between rows of records at Music Millennium last week watching Langhorne Slim play a little in-store concert, I started to get a bit nostalgic. Not about the love lost or the daydreams dreamt that Langhorne was singing about. But about records and childhood and my grandpa. I am a fan of the digital music world. I stream tunes, I download files and I listen. 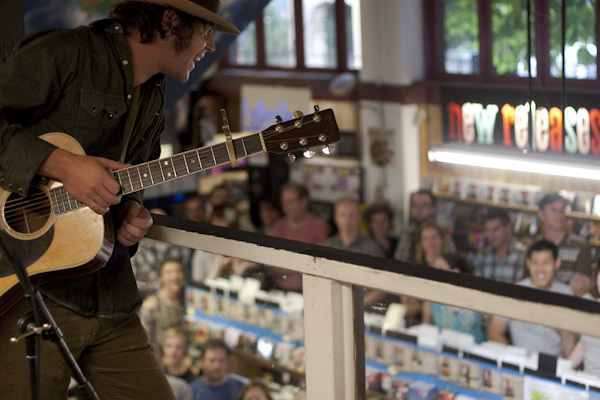 But there’s no substitution for a good old-fashioned record store. There is no substitution for browsing stacks of CDs and records, interacting with humans and walking away from a transaction full of excitement. A couple of days later I was back in the store. 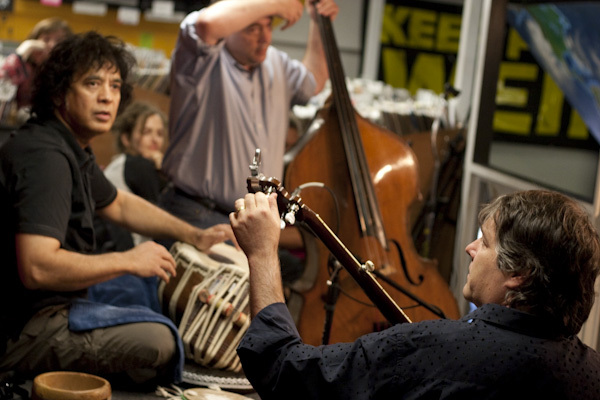 Bela Fleck, Edgar Meyer and Zakir Hussain were there to play a few pieces before taking the stage with the Oregon Symphony. Flipping through a pile of albums, I came across the same Roger Miller record we used to listen to with my grandpa. My grandpa had a broad taste in music and a huge record collection. Listening to music at my grandparents’ home, surrounded by cousins and barbeque chatter, is one of my favorite memories of growing up. The music was piped through the very Marantz receiver I use now and blasted out giant Klipschorn speakers I don’t believe would fit in my home. We would go to the record store and he would buy something serious for himself – Bruckner, Beethoven, Brahms, Tchaikovsky, Rachmaninoff – and something kind of goofy that would entertain us kids – Roger Miller or Marty Robbins singing their tunes, Lawrence Welk playing dixieland or the Harmonicats playing classics on, you guessed it, harmonicas. This entry was posted on Tuesday, September 29th, 2009 at 9:50 pm. It is filed under music and tagged with music, photojournalist, record store, tim labarge. You can follow any responses to this entry through the RSS 2.0 feed. Great post Tim! Made me think about my brothers and I listening to records with my Dad. The Who’s “Who’s Next” was a favorite.